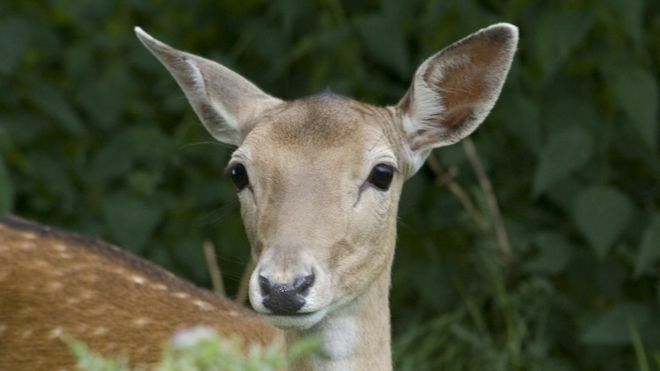 The Henley Standard reported that a group of walkers has rescued a deer on land near Henley Park. 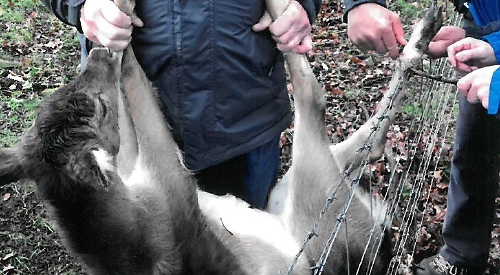 The deer was caught in double-stranded barbed wire and again highlights the dangers to deer of fencing hazards. “As we were coming down on to the Mount we heard some squealing and saw the deer hanging on the fence. The walkers approached the deer but it tried to escape, so Mr Martin grabbed hold of it and lifted it up to take the weight while two others untangled it. The Courier has reported (5th April 2019) that a baby deer had to be euthanized after being mauled by an out of control dog in Fife. A dog walker discovered the deer with two broken legs n woodland near Lochore Meadows. The Scottish SPCA were called but sadly the animal had to be put to sleep to prevent further suffering from its extensive injuries. Scottish SPCA animal rescue officer Ian Burlinson also issued a reminder to dog owners to keep their animals under control. “We were sadly called to Lochore Meadows on Tuesday morning after a young deer was attacked by a dog. “The deer had a badly injured back end and was sadly put to sleep to prevent further suffering.